Ladies and Gentlemen, start your engines and get your gowns or tuxes ready for the awards season. In Arthur Mayer’s film class at Dartmouth we placed bets. The winner got a prized copy of Arthur’s “History of the Movies.” Times have changed. We now look for patterns in technique and technology. This list comes from many sources and will be updated. (There may be errors.) The crystal ball sees wide screen, 2.35:1, more anamorphic, lots of Alexa and Codex, and still lots of films shot on film. Here are the lists. More analysis to follow. 7 of the 9 Best Picture nominees for the Academy Awards this year used ARRI cameras. 3 of them were shot on Alexa. 4 were shot on film. The other 2 were Panavision, one spherical (Lincoln), one anamorphic (Django Unchained), both shot on Kodak film. 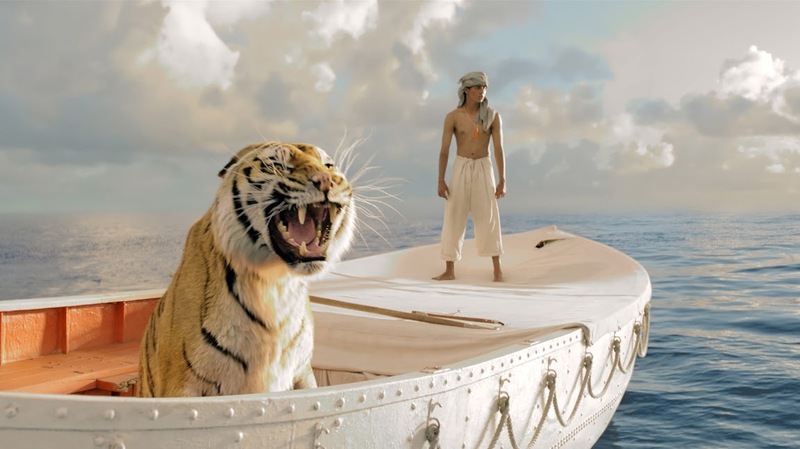 Life of Pi – ARRI Alexa. 3D Cameron-Pace. Arri Alexa, ARRI/ZEISS Master Primes and Angenieux Optimos. Cameron/PACE 3-D.
Four out of five films nominated for Best Director were shot with ARRI: AMOUR (director Michael Haneke), BEASTS OF THE SOUTHERN WILD (Benh Zeitlin), LIFE OF PI (Ang Lee) and SILVER LININGS PLAYBOOK (David O. Russell). Additionally, Codex was used on more than 60 major motion picture productions in 2012. Danny Cohen (Les Misérables) – 1.85:1 Arricam LT, ARRI/ZEISS Master Primes, Ultra Primes and Angenieux Optimo Lenses / Arricam ST – 35 mm (Kodak Vision3 250D 5207, Vision3 200T 5213, Vision3 500T 5219). Roger Deakins (Skyfall) – 2.35:1 spherical (1.90:1 IMAX). Camera: ARRI Alexa M, Alexa Plus, Alexa Studio, ARRI/ZEISS Master Prime Lenses, Angenieux Optimo Lenses, Codex ARRIRAW), Red Epic for additional 2nd unit action shots. Redcode RAW aerials. Zero Dark Thirty (Directed by Kathryn Bigelow) 1.85:1 Arri Alexa M / Arri Alexa Plus. Codex ARRIRAW. Great list! Looking forward to many more years of film, especially anamorphic. Found a typo on this line: “The other 2 were Panavision, one spherical (Lincoln), one anamorphic (Anna Karenina), both shot on…” the latter should be Django Unchained. Phil–Right you are. Good catch. Post is now updated with “Django Unchained”. Thanks.